I absolutely LOVE fall! 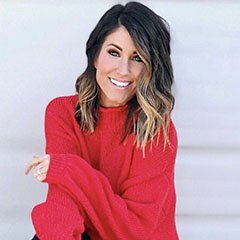 Living in Dallas, we’re either annoyed that it’s so darn hot outside or that it’s incredibly cold. In fall, however, we get a few short weeks of the best weather, EVER! It literally puts everyone in such a great mood. I love that there are pumpkins everywhere and that we can finally sit on a patio and enjoy a meal without sweating our booties off. In addition, there are so many fun activities to do in the fall! There’s football season, The State Fair of Texas, pumpkin patches, haunted houses and, again, patios! We have been spending so much time outdoors; the kids love it and so do we! 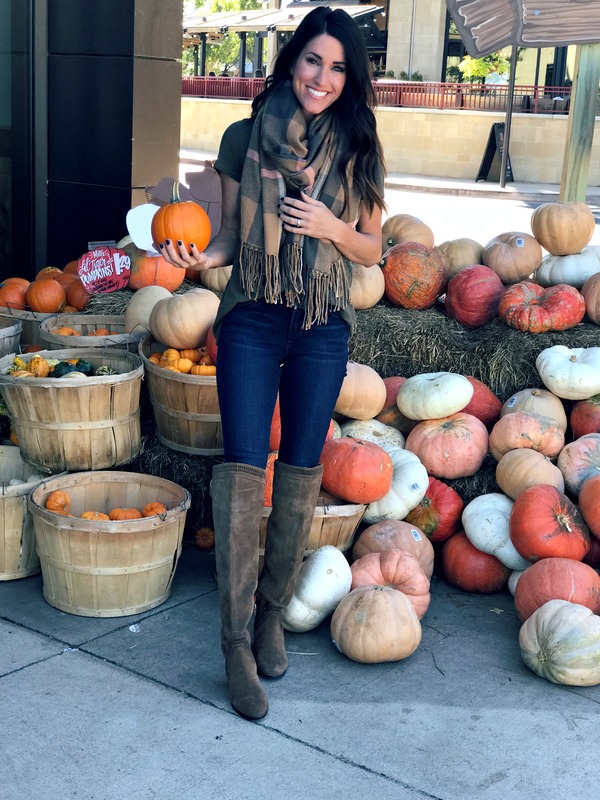 Another great thing, it’s fully acceptable to wear a scarf and boots in 60 degrees because it’s fall, y’all! 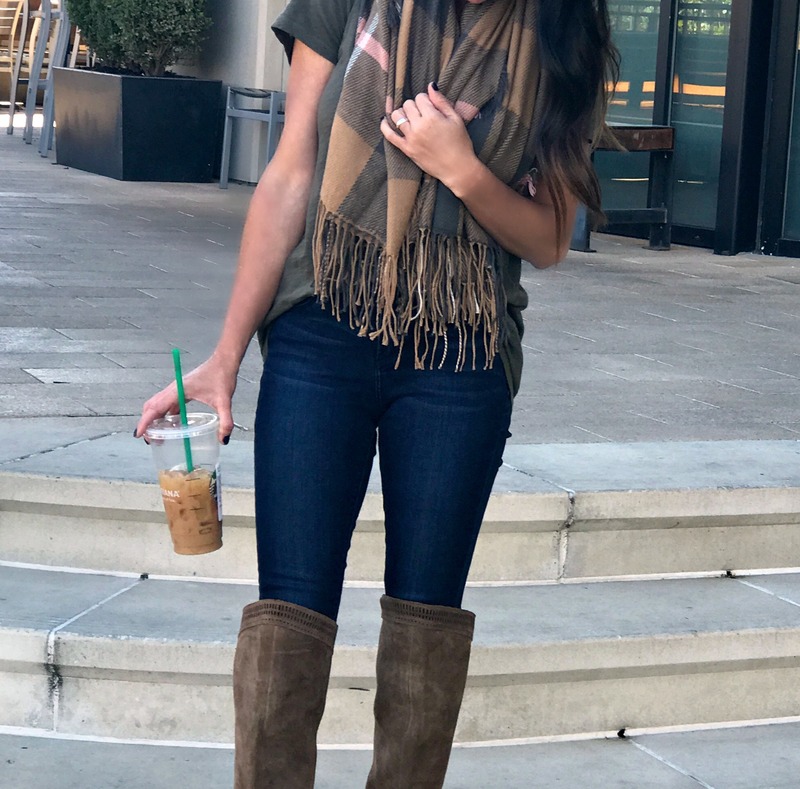 It’s no secret that I love jeans ( I wear them all year long) so you can imagine how excited I get about boot + scarf season. 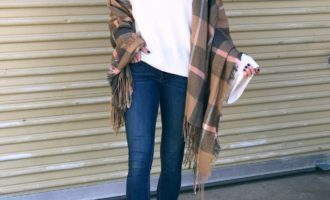 This Madewell scarf from Nordstrom is one of my FAVES! I absolutely love the colors and that it has fringe. Not to mention, the quality is fantastic! And, speaking of Madewell, I have these tees in every single color. 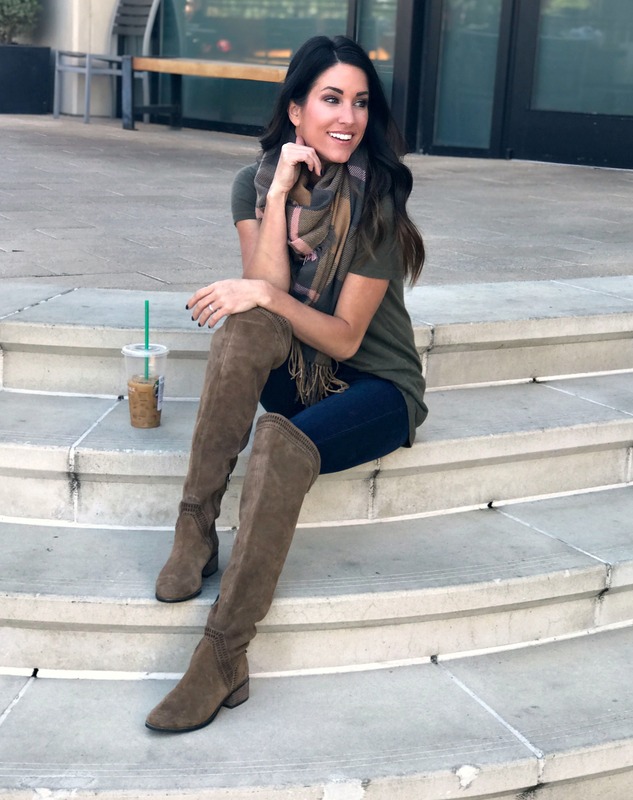 These Vince Camuto boots have been getting worn on repeat! I wear them with jeans, dresses, and leggings. 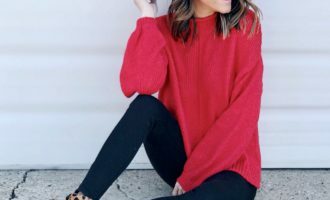 They are so comfy, available in several colors + regular and wide calf options! 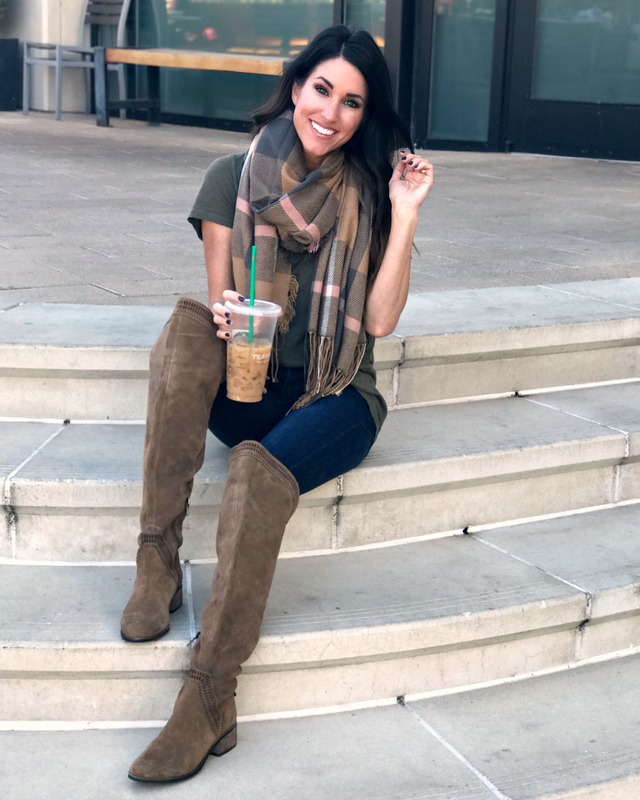 This one of my favorite things about Nordstrom (besides free shipping and impeccable customer service); they carry all of my favorite fall styles and brands! Sizing: I am wearing an xs in this tee. These boots fit true to size, but if you’re between sizes, go up one. The color I’m wearing is the Olive Branch Suede. 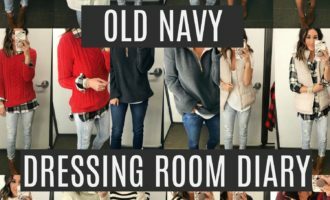 This post was sponsored by Nordstrom, but all images and opinions are my own. Thank you for supporting brands who support The Sister Studio. Love the boots!!! Did you get wide calf to make them looser or are your just very small? I wanted to ask because I love how your styled them.